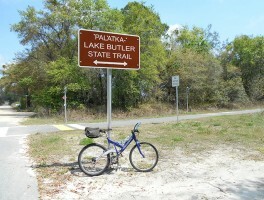 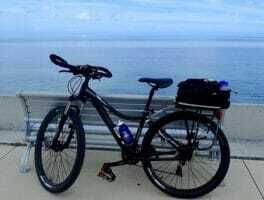 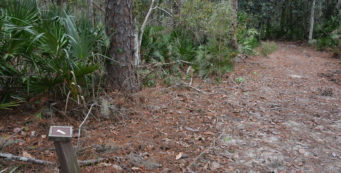 Major Bike Trails | Florida Hikes! 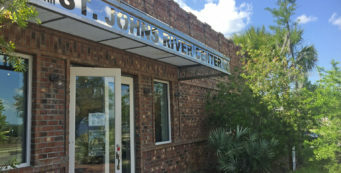 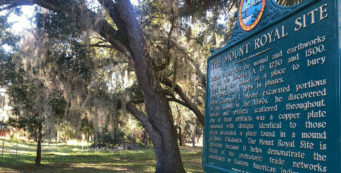 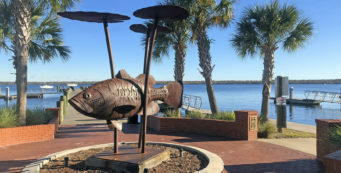 Following a historic railroad corridor through southern Volusia County, the 37-mile East Central Regional Rail Trail (ECRRT) links together Edgewater, Maytown, Osteen, and Enterprise while showcasing wild landscapes along the route. 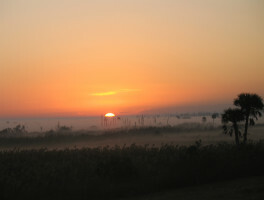 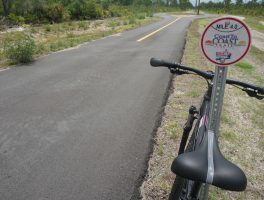 An overlay on the Florida Trail around Lake Okeechobee, the Lake Okeechobee Scenic Trail provides a mostly paved cycling and walking route around the second largest lake entirely within the borders of the United States. 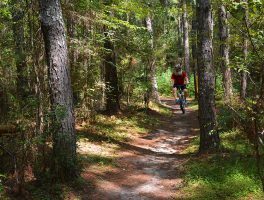 Biking the Santos Trails for the first time this fall, I opted to leave my vintage Cannondale at home and try a rental bike for my first spin through these famed off-road trails south of Ocala. 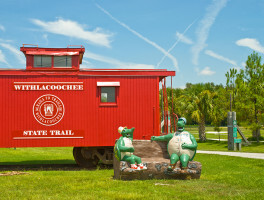 Tracing 46 miles of railroad history down forested corridors, past big lakes and city parks, and through quaint communities with restaurants, bicycle shops, and restrooms: the Withlacoochee State Trail is one sweet ride.